Pure K9 premium optic crystal award. A globe is securely glued into the round opening at the top of the award. An artistic ribbon is sandblasted into the crystal panel from the back. 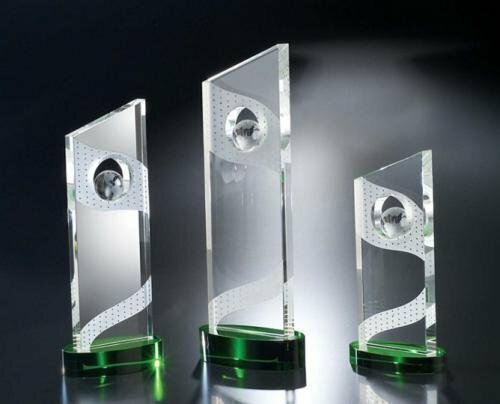 This award features a green crystal oval shaped base. Available in three sizes.